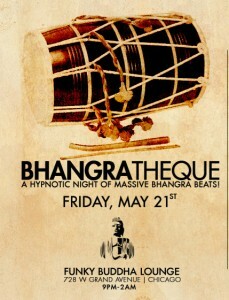 We had lots of fun bouncing to the wonderfully hypnotic Bhangra beats of DJ Jimmy Singh and Funkedesi last fall. And tonight DJ Jimmy Singh and others will be laying down their hip hop-infused Punjabi beats and mixing in special vocal performances and album giveaways at Funky Bhudda Lounge. And to get you ready for the show, Singh’s also offered up a free mixtape download. If you’re new to Bhangra, check out my review of DJ Jimmy Singh set when he opened up for Bhangra pioneer DJ Rehka in 2008. It was definitely a night where the community was grooving to escape the grind of the work week. And I expect much of the same to be going on this evening. 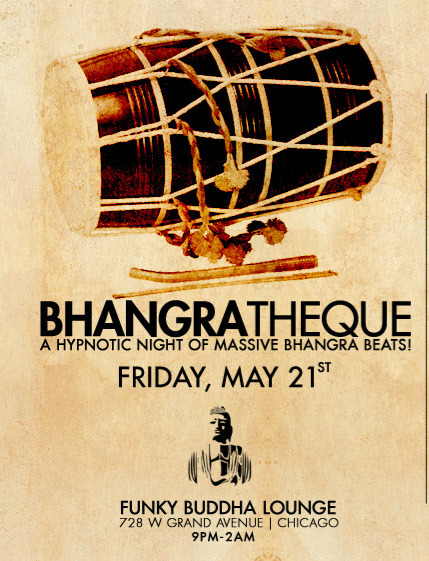 Here’s the info on tonight’s BHANGRATHEQUE show at Funky Bhudda Lounge followed by a video of last fall’s Funkedesi show. Students w/valid college IDs get in free before 11pm.